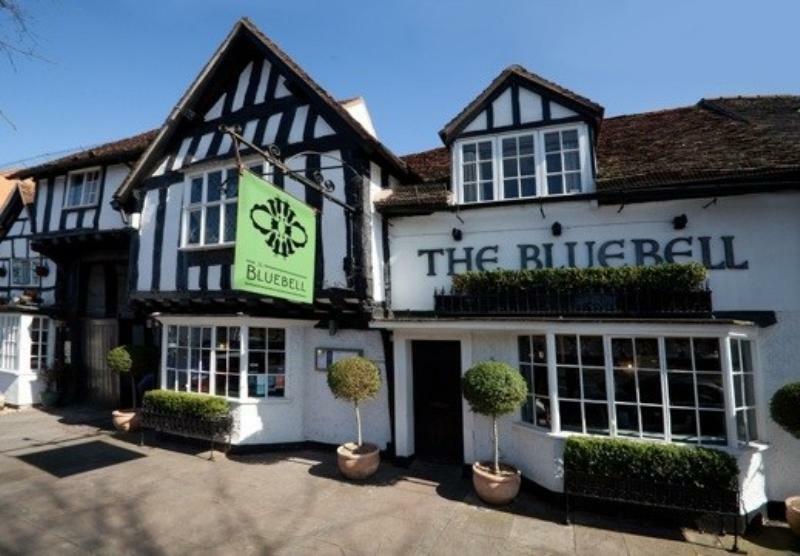 The Bluebell is a part-timbered 500 year old coaching inn set on the one mile High Street of the mediaeval town of Henley-in-Arden in Warwickshire. It's a sleekly groomed venue that retains the original beams, flagstone flooring and fireplaces. In summer months guests can sit back and unwind on the stylish terrace with a glass of wine, or a leisurely meal. The food is based around keenly sourced regional ingredients employing modern cooking techniques using sous-vide, under vacuum technology, enabling products to retain their natural juices. There's much to enjoy on the menu with starters of crispy Warwickshire lamb sweetbreads, wood roasted peppers, capers, and basil mayonnaise or maybe grilled Cornish sardines on toast, tomato Provencal, and good oil. Main courses follow with slow cooked leg of Loire Valley rabbit, pea and pancetta linguine, Hogan's cider and rosemary creams or whole grilled South coast fish of the day, Charlotte potatoes, leeks, sea purslane, caper and lemon butter. To conclude there are tasty desserts such as Valrhona chocolate mousse, candied oranges and creme fraiche or warm fig and hazelnut frangipane, burnt honey and Greek yoghurt ice cream. The wine list brings together some great wines from around the globe, with an excellent range by the glass, together with cask ales and ciders.